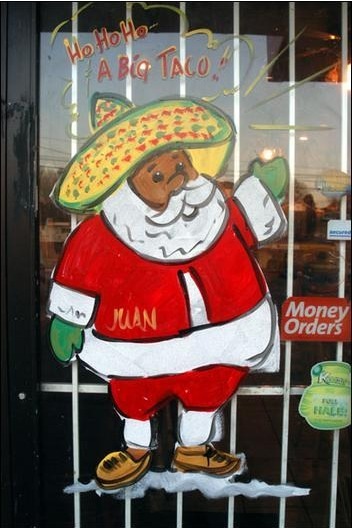 Thanks to Susan Adcock at Pitcherlady for capturing the sombrero-wearing Santa Claus above, from a window at the Las Americas Restaurant and Pupuseria on Nolensville Road. The accompanying post (here) tells a fine Nashville tale of cultures coming together. Photo copyright Susan Adcock. Used by permission.